VIZ Media, LLC (VIZ Media), a premier company in the fields of publishing, animation distribution, and global entertainment licensing, announces the release of POKÉMON: BATTLE FRONTIER COMPLETE COLLECTION on January 8th. Under license from The Pokémon Company International, the ninth season of the beloved adventure series features 47 episodes and will be released exclusively on DVD with an MSRP of $54.97 U.S. / $63.99 CAN. Episodes contained in the six-disc collection are presented with English-dubbed as well as English SDH-subtitled dialogue options. 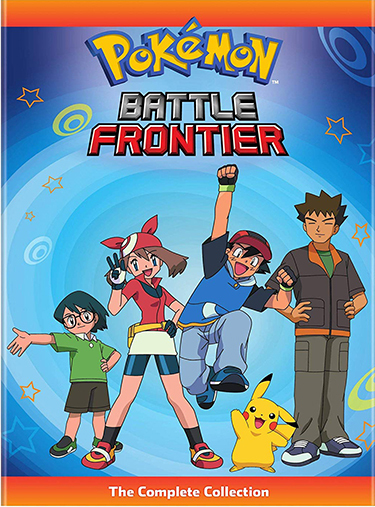 In the complete collection of POKÉMON: BATTLE FRONTIER, the territory might be familiar, but even Ash and Brock can find more than a few surprises in their home region of Kanto, like a Pokémon Ranger hot on the cases of two Legendary Pokémon! 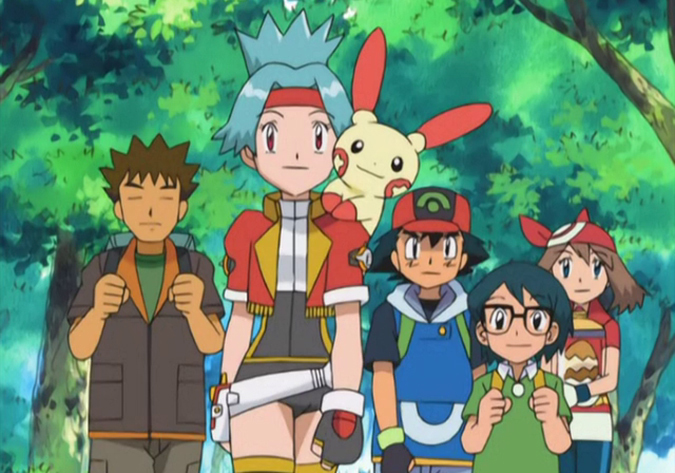 May’s back on the Contest path, blazing a trail to the Kanto Grand Festival, while Ash seeks out the hidden facilities of the Battle Frontier. If finding them wasn’t hard enough, he’s still got battles with the Frontier Brains to deal with—much tougher than any Gym Leader he’s ever faced. Pokémon is one of the most successful international entertainment franchises of all time. More than 324 million Pokémon video games and over 23.6 billion cards from the Pokémon Trading Card Game have been sold in more than 74 countries in addition to publishing and merchandise sales. VIZ Media is the official North American distributor for a wide variety of Pokémon home media releases including animated series and films and also publishes a variety of Pokémon manga graphic novel series (in both printed and digital formats) including POKÉMON ADVENTURES, POKÉMON ADVENTURES: FireRed & LeafGreen, POKÉMON ADVENTURES: EMERALD, POKÉMON ADVENTURES: DIAMOND AND PEARL/PLATINUM, POKÉMON ADVENTURES: HeartGold & SoulSilver, POKÉMON ADVENTURES: BLACK & WHITE, POKÉMON X•Y, and POKÉMON OMEGA RUBY • ALPHA SAPPHIRE.